This amazing picture of Julie Newmar was posted by hair stylist and make-up artist Louise Moon on her Instagram account. 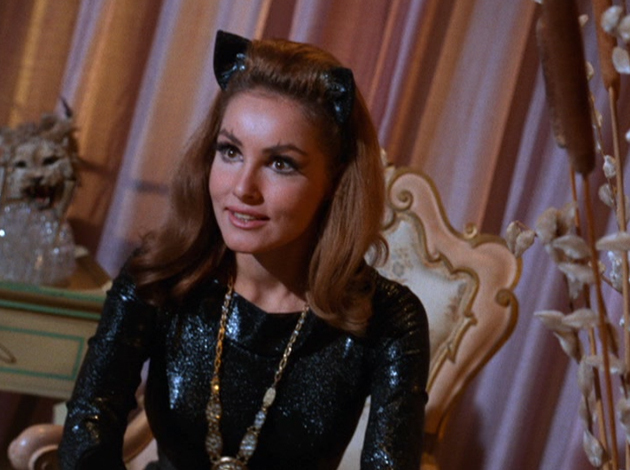 The iconic American actress, dancer and singer, who was the original Catwoman in the 1966 Batman tv show, was getting ready for a charity event. There’s a bottle of Erno Laszlo Shake It tinted treatment on her dressing table, on the left. This is a dual-phase skin-tone evener product with a matte finish. There’s also a tube of Duo eyelash glue, just behind the standing mirror. Thanks to Ramón for the Laszlo id and Jennifer for the Duo one. She is! And I’m in love with her updo.